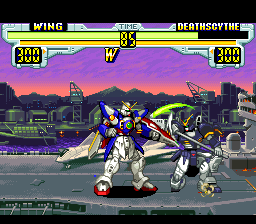 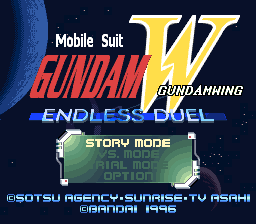 Shin Kidou Senki Gundam W: Endless Duel is an action fighting game for the Super Nintendo. 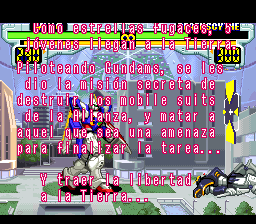 Spanish Translation for “Shin Kidou Senki Gundam W: Endless Duel” or “Mobile Suit Gundam Wing: Endless Duel” for the Super Nintendo. 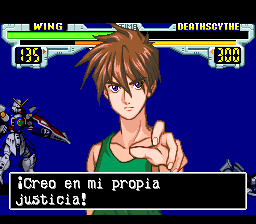 Based on the English Translation by Aeon Genesis.